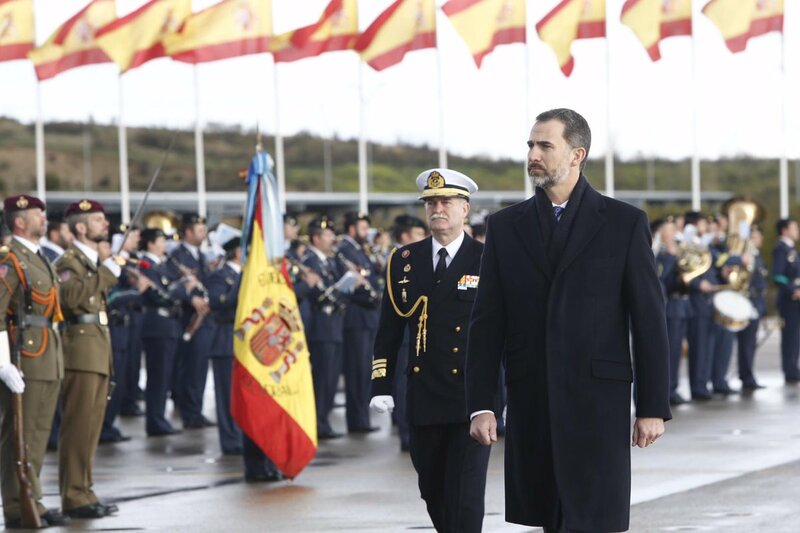 Don Felipe and Doña Letizia will make a state visit to France in March 2015, coinciding with the opening of the "largest ever organized exhibition" in France on the painter Diego Velázquez, confirmed Monday French President François Hollande. The announcement was made by Hollande in the joint press conference with the Prime Minister, Mariano Rajoy, at the end of the XXIV Franco Spanish summit in Paris. Official reception at the Hotel des Invalides. The Prime Minister Manuel Valls will receive them in an unusual gesture (he is born in Barcelona). The visit to France is next week and the forum is still closed. The program of the visit is on the calendar. The monarch will interrupt on Wednesday, March 25 the work of the Assembly to deliver a speech of significance to deputies, which is a courtesy of the French authorities to the head of the Spanish State, as it is a fantastic gesture reserved for certain international leaders with close ties to the country. Thread is open, for future reference please send a pm to one of the 4 Spanish Moderators if you notice a thread has been closed and we will look into it. The French authorities don't care about TRF or any other royalty forum. They will set the same dress code and the majority of French population won't mind. I do mind, of course, but what's that to the French President? So be prepared to a "flagrant" and "undignified" lack of tiara my Dear ! Or, and it would be a major surprise, the dress code from the British state visit last year. Thanks for your kind counseling . I will be prepared this time round. I don't want to repeat the state of shock that lasted at least a week after the Swedish visit . I'm sure that it will be an important visit on the political level. The two countries are direct neighbours after all. Until we see the pictures we do not know the dress code, whether it will be black tie as with Queen Elizabeth or semiformal as with the Swedes. Queen Sofía never wore tiara on visits to republics, so neither will Queen Letizia. The chosen dress code will not be too important. Spain and France are neighbors. The French Government has granted a high level to this visit, the king's invitation to speak at the National Assembly, is an exception granted to few leaders. 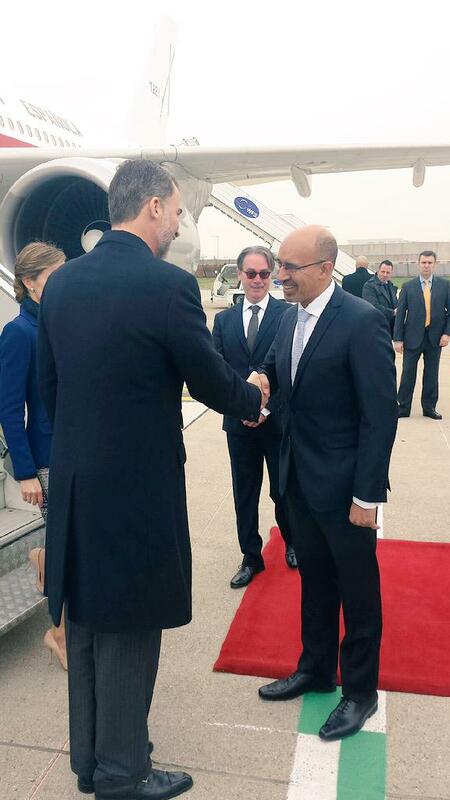 The Pimer Minister and the Mayor of Paris are French born in Spain, so for them the visit is also special. Prime Minister will receive the King and Queen at the Hotel des Invalides, something that is not very common. 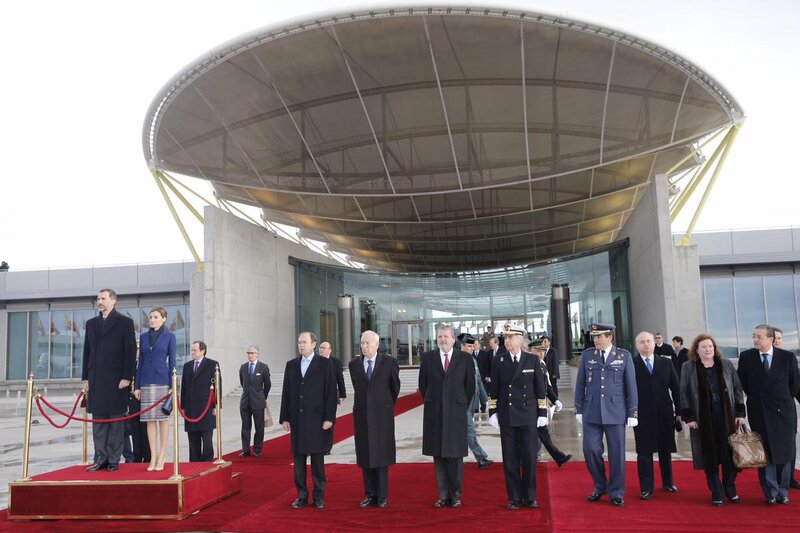 Wonder if Hollande will give Letizia the Order of Légion d'Honneur at this visit. Felipe got it in 2009 from Sarkozy. The visit's program looks great, it will be nice seeing F&L at Les invalides and opening the Velázquez (!!!) exhibition at the Grand Palais. It is great that both the French Prime Minister and Paris Mayor will have a great presence during the visit as well since they both are Spanish-born. 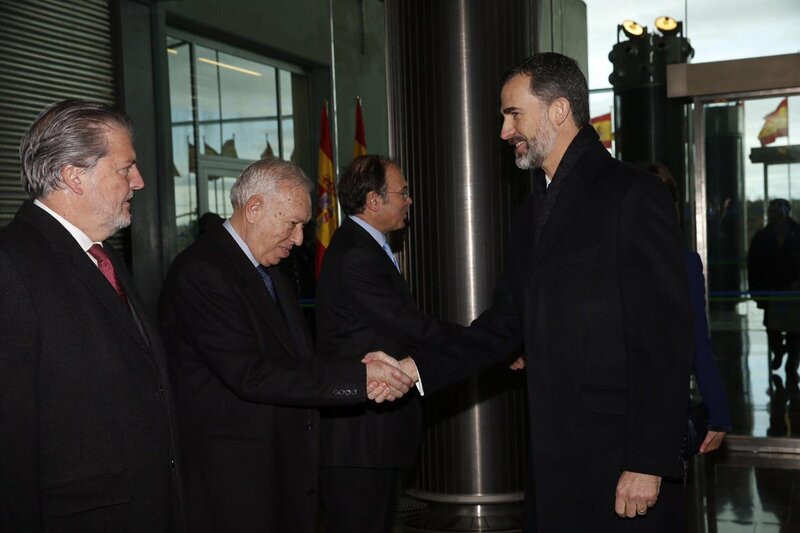 According to the website of the president of France, the meeting with president Hollande is at 12.30, the opening of the Velázquez exhibition at 16.00, and the dinner at 20.00.